How Important is Communication and Listening? Two of the key topics in this issue of Roofing Contractor are favorites of mine: Young Gunsand Tools and Equipment. In the several years that we’ve featured Young Guns, I’ve always enjoyed reading how the under-40 leaders in our business address their work, and how different it seems every year as I glide farther and farther beyond my own youth. Read about the young leaders in roofing and you are somewhat looking into the future of the industry. Then there are the tools and equipment features. I can’t help but marvel as new solutions are created and marketed just for roofing work. And just when I think I’ve seen it all, a crafty (or lazy) roofing contractor comes up with another time-saving gadget. I spent the first ten years of my work in roofing selling tools and equipment to roofing contractors in need of lowering labor costs while increasing productivity. This was a blessed time for me because I loved the work and I lived through the golden age of high-production roofing equipment. In fact, it had peaked when I moved on to work in another area of the industry in 1985. So, what were the key lessons I learned back in those days and ever since? I believe the answer will best serve the young guns in roofing and the old farts like me. Those of you in the middle have either figured this out already or may have to get a little older (wiser) before it sinks in. For the young guns: take the time to listen to the war stories of the older folks in roofing. Today’s world moves with the lightning speed of the Internet so it must seem counterintuitive to take the past too seriously. But there are few better ways to hone your listening skills than to take the time to absorb information that at first, you may not think is all that valuable. The old timers in our business may not all be up to speed on the latest and greatest, but if they have survived years in roofing, I guarantee you they bring skills to the game that are worthy of imitating, such as great communication skills. The roofing business is still built on human relationships, and no matter how you communicate, you must master the most difficult art of listening. And listening, as well as the foundation of great communication, in my humble opinion, is the most essential piece of great relationships. 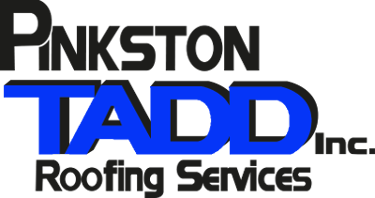 I apply the same rule to myself and recommend it to you more senior roofing contractors. Listen to the young, up-and-coming leaders in your roofing business. They were raised in a different era and have a perspective that may sometimes be hard to understand, but has great value. 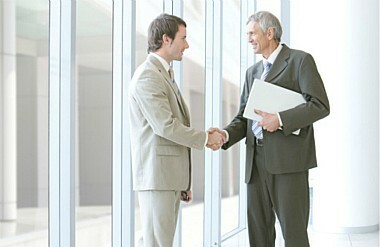 To continue to build your roofing business, at any age, you must be able to attract great people to grow and succeed. And to do that you must be able to communicate with them on their level. So these are my messages to you young and not-so-young roofing contractors: give an ear to the wisdom of the elders. Honor the insights of youth.